"If you were a GOOD wife, you would..." she said flippantly over her shoulder. I just stood there...stalk still...mouth open...mentally clutching the gaping hole she had bore straight through my heart. If I were a GOOD wife?? For a few days, I mulled that over and then...rather like a dog...began shaking off those wounding words. As you can imagine, it took time for me to rid myself of the toxic thoughts looming just below the surface. But eventually, I came to realize that her words were ones flung out of protection...out of fear and insecurity...out of a lifetime of personal self-doubt and probably self-loathing. I came to see that and could offer grace and forgiveness. And most importantly, I knew that my worth as a WIFE...as a mom...as a child of God was not wrapped up in her slanted opinion of me. What made the difference? How did I get from POINT A to POINT B? I sought the TRUTH from the only two individuals who could testify to my wifeliness...or lack thereof. After much prayer and soul...really Scripture searching, I approached my husband and replayed the infamous conversation. I'm not exactly sure what kind of reaction I was expecting from him, but a snicker was certainly NOT among my list of possibilities. "I wouldn't have put ....... on a list of What Makes a Good Wife." came his reply. But the truth is, my husband DIDN'T want me to be any of those things. CLARITY! It was then that I petitioned for a little "marriage maintenance" survey. I asked the Hubs to put together a list of the top THREE qualities he wanted and needed in a wife. I determined that I would much rather do THREE wifely duties exceptionally well than only reach mediocrity with the lengthy list dished out to me from the world. Not to say that I would ONLY ever do/be three things for him. (Scrubbing the toilet was not on his list, but I think we can all agree that in a household of five males, that's a non-negotiable.) Narrowing it down to three qualities...or more importantly, HIS three most-desired qualities...gave me a focused goal with which to prioritize my efforts. The really refreshing part of THE LIST was that I was already doing two of the three things really well. And the third?? I'll admit, I'm still a work in progress at that one...it just doesn't always come naturally. But because I now know my husband's thoughts, I can refocus my time and attention on what really matters to HIM...not what matters to my mom, his mom, my friends, that PARTICULAR WOMAN...but HIM! I recognize that THE LIST might evolve with the ebb and flow of time. What seems like a necessity in one season of life, may not necessarily be relevant in the next. But then again, his top three were well-chosen and certainly worth spending a lifetime perfecting. But what does all of this have to do with HOMESCHOOLING, you ask?? Just as I was a new bride waffling in my efforts to be a good wife, feeling overwhelmed by the opinions and well-intentions of others...you as a new homeschooler will, at times, feel compelled to replicate the successes you see in others. All too often you will probably feel defeated and inadequate when compared to other moms who seem to have it all together. But the truth is, in all likelihood those HAVE IT ALL TOGETHER HOMESCHOOLERS have only mastered the home educating qualities that are important to THEM. I have a homeschooling friend whose children have formed a traveling gospel group complete with matching belt buckles and bolo ties. And while that works for them, it's not in line with my main reasons to homeschool and therefore would not be worth my time and effort to pursue. The same goes for the farming family that eats off the land and promotes whole-food education. And the small business owners who have made buying and selling into a life-long unit study. These are all worthwhile endeavors. But the question remains...are they to be MY worthwhile endeavors?? New homeschool mom, I encourage you to prayerfully consider choosing THREE homeschooling qualities to focus your attention. Wouldn't you much rather master THREE things than settle for mediocrity in many? By choosing just THREE, you are freeing yourself from comparison. You will know what needs to demand your time and be fully able to dismiss the rest...with grace. And the best part is, once you master those three things, you'll probably be ready to tackle three more. And eventually, you too will be one of those HAVE IT ALL TOGETHER HOMESCHOOLERS...or at least appear that way to the rest of us! And how do you determine what THREE items demand your attention? 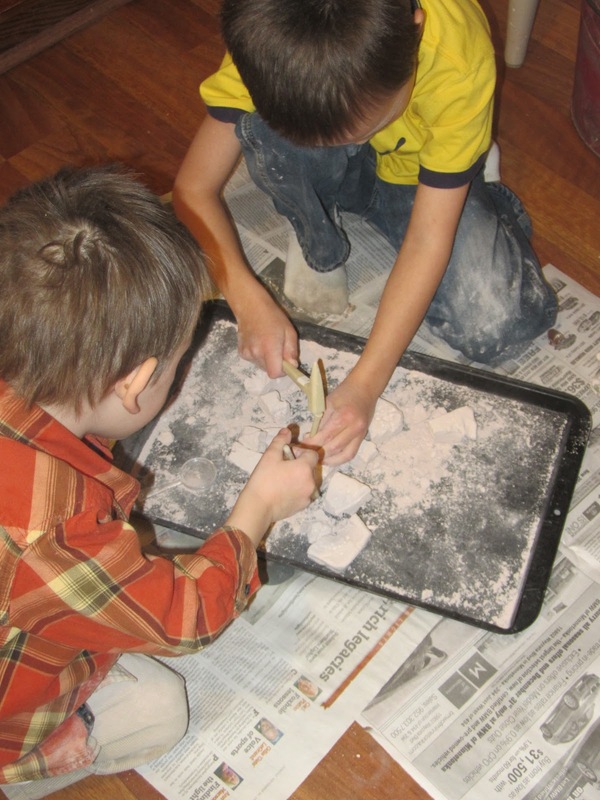 Determine your reasons for homeschooling. Write them down. Revisit them often. Brainstorm how you can bring your TOP 3 to the forefront of each day....or week. Applaud those homeschool moms who are doing XYZ...but never let their success veer you from YOUR course. Remember, God did not give us all the same tools in life, so He certainly does not expect us to build the same thing. By prioritizing your time and energy on just THREE goals in your first year, you are allowing yourself to be the homeschool mom that YOU are supposed to be. Beautiful! Thank you for this reminder! You're welcome. I hope it was encouraging. Thank you for this post. It was such a great reminder as a wife and a homeschool mom to do the best for my family, not for what I perceive as needed but what is actually needed for my crew. Thank you.you your post always help me see things in a better light.I feel so guilty all the time about things I cannot accomplish. Don't forget to celebrate all the things that you DO accomplish! This was a God send of a post. Seriously. I'm a perfectionist people watcher and end up feeling like a failure. I'm trying to do everything "perfect" as a wife AND home-schooling Mom and ending up not doing anything really well. Too many irons in the fire. Thanking the Lord for helping you articulate your words and posting them in this place!! It sounds like your house is as busy as mine. I think writing your goals/reasons would really help you to focus on what God wants you to prioritize your efforts on...especially with so many little ones. And in the end, you have to cut yourself a break knowing that with little ones to care for during the school day, SCHOOL will sometimes have to be put on the back burner. God bless you as you seek to find your TOP 3. God bless you Mamas of young students AND babies! My babies are now 18, 14, and 9 - but I needed to read your post. I may have my girls write their own THREE important goals for the rest of this school year! Thank you for sharing your wisdom! You are so welcome. It was a nice reminder for me, as well. I'm going to share this with my homeschool group on facebook as many of them are just starting out. Great post, Jamie! Heidi, you are always such an encouragement to me! Thank you for sharing. Likewise, Jamie! Too bad you don't live in MI!!! I've thought that same thing about you living near me. Boo-yow, you totally nailed it! This is good advice for us all. I'm in my fifth year of homeschooling, and have been at it long enough to see my children thriving. Yet I still have moments of doubt after talking to other moms who are doing things with their kids that I am not. Fifth year? Us too! Unless you count preschool. I hear you about the "thriving" part. Yep, yep, yep! On the marriage application and the homeschool application. We can't be good at everything, but we can focus on what matters for OUR family! Great post, Jamie! Well written! Thanks for the encouragement! Oh praise Jesus for this wonderful burden lifting advice. 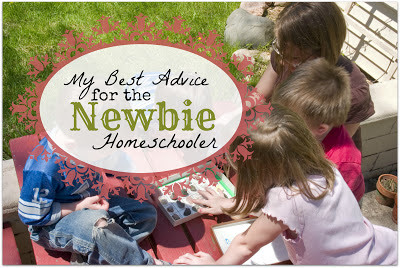 I am brand new to homeschooling and completely overwhelemed and this has truly helped me thank you and God bless. I'm so glad, Annie! God bless you as launch out on this journey! Thanks for this. I really appreciate your blog. My husband and I have decided to homeschool our daughter for preschool and are prayerfully considering which schooling option is best for our family beyond preschool. Thank you for your encouragement, transparency, and practical advice. You're welcome. It sounds like you are starting very similar to how we started. We committed to preschool and prayed for next year's decision. Great post! We are new to homeschooling and I actually have been blogging about my journey at http://thelearningcurveparent.blogspot.ca. It has really been a transition for us (having four kids who had all been in school full-time before this!) but we have persevered and learning to be a bit easier on myself. and yes, not to compare!! God gave you the children He did, and you can teach them. God gave your children the Mother He did, and they can teach you. Convenient how that works out so nicely! Tears so heavy I can hardly read your blog this morning. This is my rookie year and I am so concerned that I am failing. I have put my whole heart and soul into this, and it never feel like enough. I've put all my crafty hobbies to the side and just focus on being a good mom, wife, and teacher. I have glimpses of success, but I know the enemy is trying to knock me down with doubt. Thank you for always being so honest and open with your journey! It blesses me everytime I log on. Traci, Sending you a big hug! You can do it! He who began a good work in you will continue to do it. Homeschooling is good work...it's definitely hard...but it is good. I wish you all the best for the remainder of this first year. my question? Do you have to be the right person for homeschooling? would you say that anyone can homeschool or would you say homeschool is not for everyone? 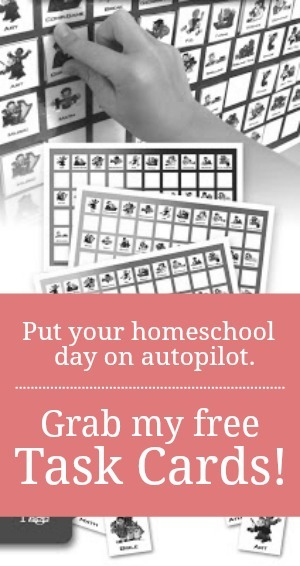 I am struggling with making the decision to homeschool? YES! I can vouch for the fact that I NEVER thought I would homeschool- or could- until I found ourselves in a situation where we HAD to do it because my child was failing and so far behind it was the only choice. The mom who thought "No, not me!" not only is doing it, but loving it (most days!). I'm not perfect nor are my kids, but if you feel the tug to homeschool, I would listen to that inner voice! Thank you Jamie. I am a new Homeschool Mom and I found your words very encouraging. Thanks! This came right when I was feeling defeated! I meet with my charter teacher on Wed. She managed pull the carpet right out from under me, on all my curriculum I had spent almost 7 months researching. Simply because she was concerned about state testing. Although I am normally one to stand up for myself or what I feel rather quickly, I felt intimidated by inexperience. I was forgetting the "real" reason I choose to homeschool. So thank you, THANK YOU! THANK YOU! For the grounding, and reminder that your blog gave me this morning! Just remember, YOU are the momma! Trust your instincts. What a great verse! Thanks for sharing. It is a perfect fit. I love this!!! I am a new homeschooling mom who just discovered your blog and I can't tell you how many times your blog has uplifted and encouraged me. This post in particular was such a timely find. I've been feeling pretty overwhelmed with it all and have used a 3 point focus in the past professionally, but in the midst of everything it never occurred to me to apply it at home! I recently started a personal blog (maybe something I may drop after I heed your advice!) and would love to write about the 3 things our homeschool/family choose to focus on. Maybe I link to this page? I'm still so new to all of this I don't know what the respectful protocol is. Either way, thank you so much, this has been every inspiring and I really appreciate you sharing your journey! Yes, that would be great. Thanks! I needed to read this today. Thank you so much. I am 3 weeks and feeling like I'm drowning in quicksand even though I'm fairly prepared according to most people. God has called me as gently as He can to do something that I still have on my "Never Want To Do" list. Our journey with homeschooling has nothing to do with education at the moment and everything to do with character and God transforming us I believe. Thank you for workbox cards which I am going to work on this weekend and am confident it will help the flow of things around here. I also appreciate your openness and encouraging words. Big hugs to you. Character is a very important and worthy reason to homeschool. You can do this! Just take a deep breath and be YOU! God will fill in the gaps. This is freeing! Thank you! We had a really rough 1st year, and haven't gotten much done. Our curriculum doesn't address character or habit training, and I've felt that is what we really need (aside from Bible/devotion time). I think I'll make those my main priority, along with reading, for first grade. I think she can catch up on the rest! Thanks!